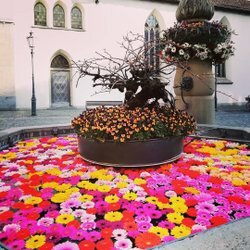 The youth hostel is located in Zürich Wollishofen, just a stone’s throw from the lake shore, the Rote Fabrik cultural center, the Landiwiese park, and Mythenenquai. On the site where a school hut served as a hostel in 1936 there now stands a spacious new building, featuring a modern infrastructure, a kitchen serving a variety of menus, a cozy bar, and a 24-hour reception. The youth hostel has 282 beds, whereby guests can choose between a single, double or multi-bed room. There are also a number of seminar rooms for conferences, meetings, and other gatherings. 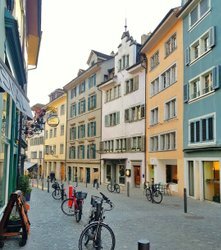 The excellent transportation links make the youth hostel an ideal starting point for tours of discovery through the fascinating city of Zurich and surrounding region. 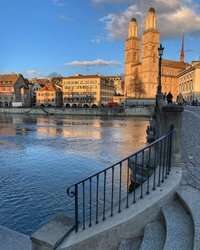 In addition, there is a direct rail connection from Wollishofen Station to Zurich Airport.